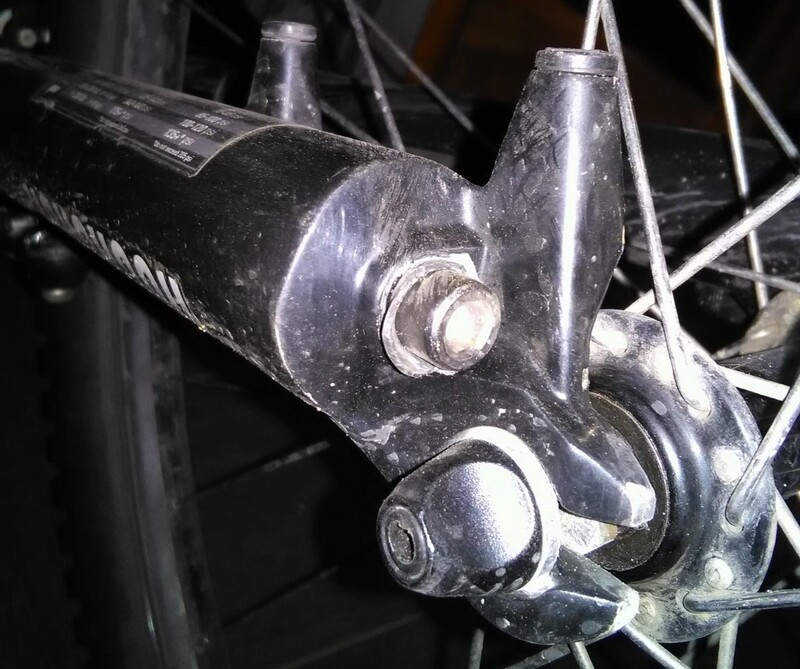 Soon after I returned my RockShox XC 32 fork from service (it’s been two years since it was installed), I noticed that a bolt is missing from the left leg. I am not sure if it was misplaced during the service, or if it was lost later in my ~60 km of rides afterwards. The fact was, I was using an incompletely assembled fork. Now, at least I got a clue how the bolt may look like, though no details on exact sizing was available. I made some measurements of the bolt hole with calipers and went shopping. After a bit of roaming, asking around and guesswork I found a thing that matched: A BMX bolt sized at ø8 mm, 30 mm length. There was a variant with a hollow core, but I chose a solid one, as there may be some air or oil that the bolt was meant to keep inside. 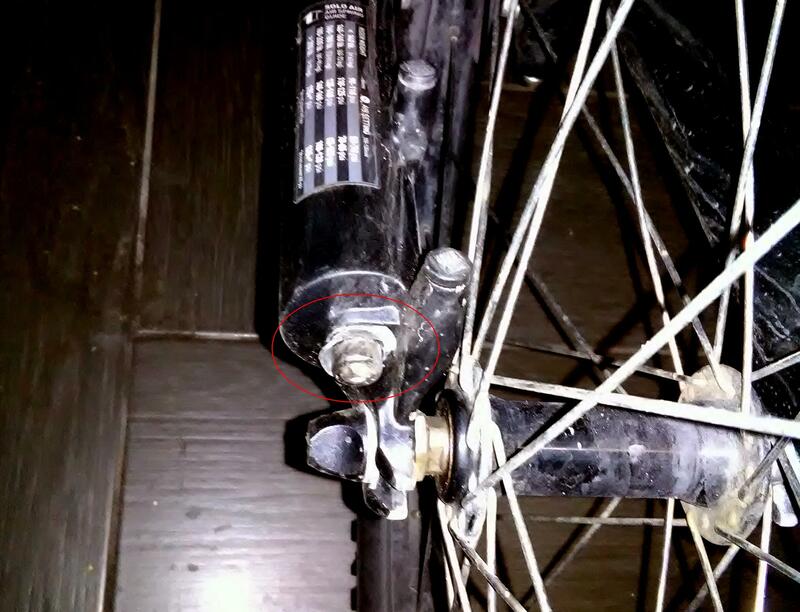 Upon returning home, I installed the bolt with a spacer and a rubber washer made of old inner tube; I don’t know if it actually required there, I just felt that it will not hurt.